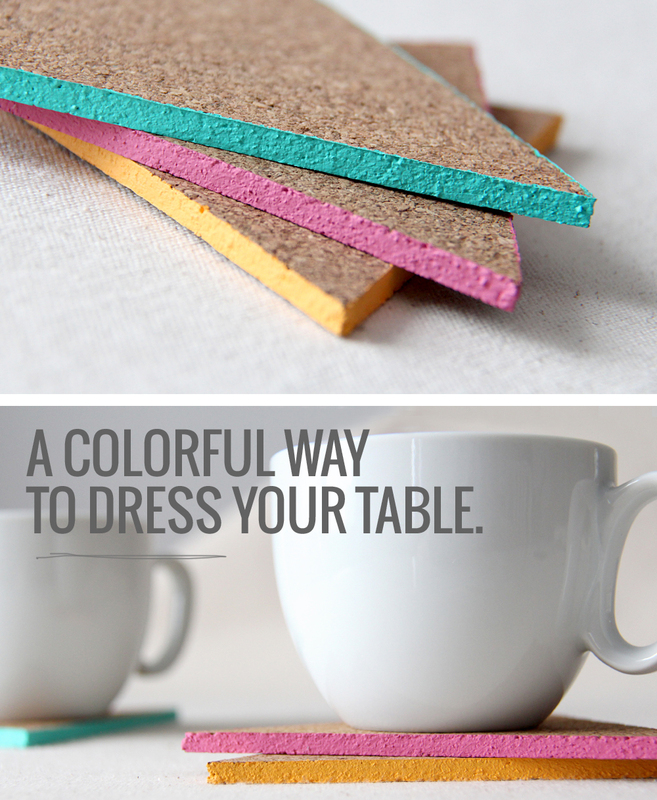 Is your table seriously bored with your old tableclothes and dinnerware? 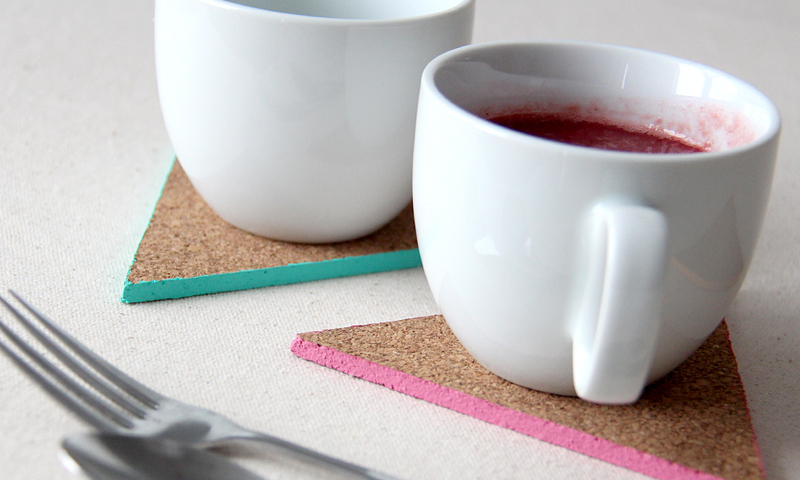 Give it something refreshing and colorful with this easy coaster project! Cut equilateral triangles out of the corkboard sheet. (Previously draw a triangle in the desired size on a paper sheet and cut it out. 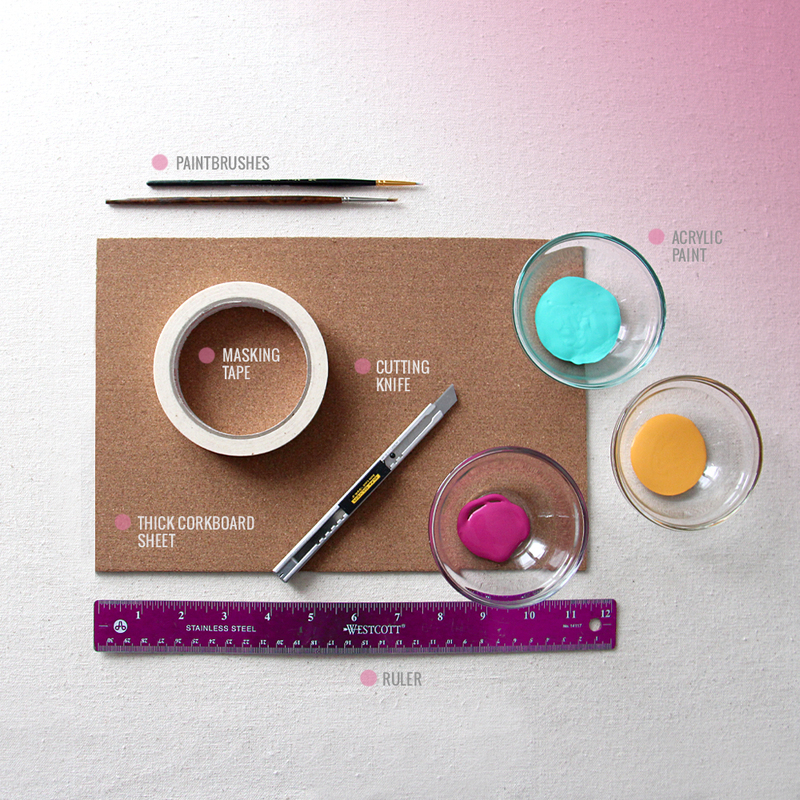 Use masking tape to delimit the edges of the coasters. Paint only the edge using vibrant acrylic paint. Apply 2 or 3 layers of paint. Once the paint is dry, gently tear off the masking tape. You now have the cutest colorful coasters for your friends gathering and sunday mornings! Notify me of followup comments via e-mail. You can also <a href='http://coloursandbeyond.com/comment-subscriptions?srp=2030&srk=&sra=s&srsrc=f'>subscribe</a> without commenting.